Michael Sloan was born into an illustrious show business family. His grandfather, Fred Stone, was a famed Vaudeville performer who created the role of the Scarecrow in the Wizard of Oz on Broadway in 1902. Michael's mother and father, Paula Stone and Michael Sloane, were stage producers who mounted such shows as The Red Mill. Top Banana and Rumple on Broadway in the 1940's and 1950's. Michael's cousin was Keenan Wynn, the great character actor seen in many movies throughout a storied career. Michael's cousin was Milburn Stone, who played the curmudgeonly 'Doc Adams' on the long-running TV series Gunsmoke. Michael wrote and produced three features while living in England, Hunted, Assassin and Moments, all distributed by Columba/Warner Bros. While still in England, Michael wrote an episode of the Universal TV show 'Columbo'. It was the only episode ever shot of the TV series that had been handed out to a freelance writer. Michael returned to the United States in 1974. He wrote seven episodes of the Warner Bros TV series 'Harry O' starring David Janssen. Michael then landed his first studio job at Universal Studios. He worked for Glen Larson and wrote and produced the TV shows McCloud starring Dennis Weaver, Quincy starring Jack Klugman, the Hardy Boys and Nancy Drew Mysteries starring Shaun Cassidy, Parker Stevenson and Pamela Sue Martin, Evening in Byzantium starring Glenn Ford, Sword of Justice starring Dack Rambo, the original Battlestar Galactica starring Lorne Greene, Richard Hatch and Dirk Benedict and BJ and the Bear starring Greg Evigan. Michael was nominated for an Emmy for his work on the TV series Quincy. Michael left Universal to go to MTM Studios where he wrote and produced Riveria starring Ben Masters, Patrick Bauchau and Elyssa Davalos, directed by the legendary John Frankenheimer. On loan back to Universal Studios, Michael wrote and produced The Equalizer Pilot starring Edward Woodward for CBS. Back at MTM Studios, Michael wrote and produced a TV series called The Master starring Lee Van Cleef and Timothy Van Patten. Michael returned to Universal Studios where he wrote and produced The Man From U.N.C.L.E TV Movie starring Robert Vaughn, David McCallum and Patrick Macnee (of The Avengers fame). ​Michael also wrote and produced three TV Movies based on the Six Million Dollar Man and the Bionic Woman TV series starring Lee Majors, Lindsay Wagner and Richard Anderson. Before leaving his second 'tour of duty' at Universal Studios, Michael produced forty-one new episodes of Alfred Hitchcock Presents, most of which he also wrote, which starred such TV names as Lindsay Wagner, Robert Carradine, David Cassidy, Van Johnson, Rory Calhoun, Melissa Sue Anderson, Anthony Newley, Robert Lansing, Edward Woodward, Jean Simmons, Doug McClure, Eli Wallach and Mike Connors. Michael wrote and produced the feature movie The Caller for Empire Pictures for Frank Yablans starring Malcolm McDowell and Madolyn Smith. Michael wrote and produced 88 episodes of the TV series Kung Fu: The Legend Continues for Warner Bros TV starring David Caradine and Chris Potter. Michael wrote and produced the TV Movie Earthquake in New York starring Greg Evigan, Cynthia Gibb, Michael Sarrazin and Michael Moriatry. He also wrote and produced the TV Movie Freefall starring Jaclyn Smith. Michael created the TV Series Mystery Woman for the Hallmark Channel which resulted in ten TV Movies over the period of several years. While in Canada, Michael wrote and produced the TV series Call of the Wild starring Nick Mancuso, Shane Meier and Rachel Hayward for Animal Planet. Michael was the writer and producer of several episodes of the new Outer Limits TV Series for the 2000-2001 Season. Michael wrote and produced three features for Kirk Shaw's Insight Films and Odyssey Media in Canada, including Ring of Fire starring Mickey Hardt, Alien Agent starring Mark Dacascos and Art of War II starring Wesley Snipes. Michael also wrote scripts for episodic shows including McCoy (2-hour NBC Mystery Wheel), La Femme Nikita, Baywatch Nights, Baywatch Hawaii, Pacific Blue, Police Academy, Switch and The Devlin Connection. Michael had a thriller play produced on the stage called Underground starring Raymond Burr that opened at the Royal Alexander Theater in Toronto, then subsequently was mounted in the West End of London. 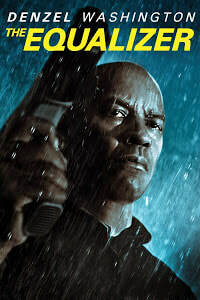 'The Equalizer' feature filmfrom Sony Pictures was released on September 26th, 2014, starring Denzel Washington and directed by Antoine Fuqua. Michael was one of the Producers of the movie, based on the characters he had co-created from the Classic CBS TV Series. The Equalizer feature film has made over $220,000,000 at the worldwide box office. A sequel movie is currently shooting in Boston, once again starring Denzel Washington as Robert McCall, directed by Antoine Fuqua. It will be released by Sony and Columbia Pictures for release on August 10th, 2018. 'The Equalizer' novel, written by Michael -- an original project with a unique storyline from the two movies -- was published by St. Martin's Press on August 19th, 2014. St. Martin's Press has announced a new Equalizer book sequel from Michael titled Killed in Action -- An Equalizer Novel, which will be published on January 30th, 2018.